Comfort Food | Eat It, St. Louis! Macaroni and cheese. I was so excited, those many years ago, when my then-newish-boyfriend told me that that his 6-year-old, a somewhat persnickety eater, loved macaroni and cheese. My chance to impress the impish redheaded Allen had arrived! In an instant, I grabbed my fabulous recipe – hand written in blue ink on a sheet of paper from a legal pad – jumped in the car to procure groceries and headed over to Mark’s house to make a comfort food favorite in an unfamiliar kitchen. This dinner was going to bring us together. This dinner was going to make the unfamiliar both warm and comfortable. This dinner was going to be the first of the many I fantasized about making for the two people who were going to make my life complete. Perhaps I put too much on the mac & cheese. I got to Mark’s early and set about chopping; and melting; and adding; and stirring, stirring, stirring; and boiling; and straining; and mixing. After an hour or so, the pan of cheesy deliciousness was ready to bake. Mark and Allen got home right as I was pulling out the bubbly pan of mac & cheese. I felt like some sort of super combination of June-Cleaver-meets-Martha-Stewart. My vision was happening. Based on the missing box, he refused to eat. I, in overly dramatic fashion, shut my self in the bathroom and cried. Mark, trying to manage the situation, continued to try to get Allen to eat, which led to a battle of wills … which the 6-year-old won. Clearly, it was not the night I’d imagined. It also wasn’t as heart wrenching as seemed in the oven-heat of the moment. It was our first “family” tiff**, and we survived it. Mark and I did enjoy our dinner eventually and Allen enjoyed a PB&J. Ten years later, The Boy continues to politely decline my fab mac & cheese. So I now make it as a special treat for grown-up friends and family. 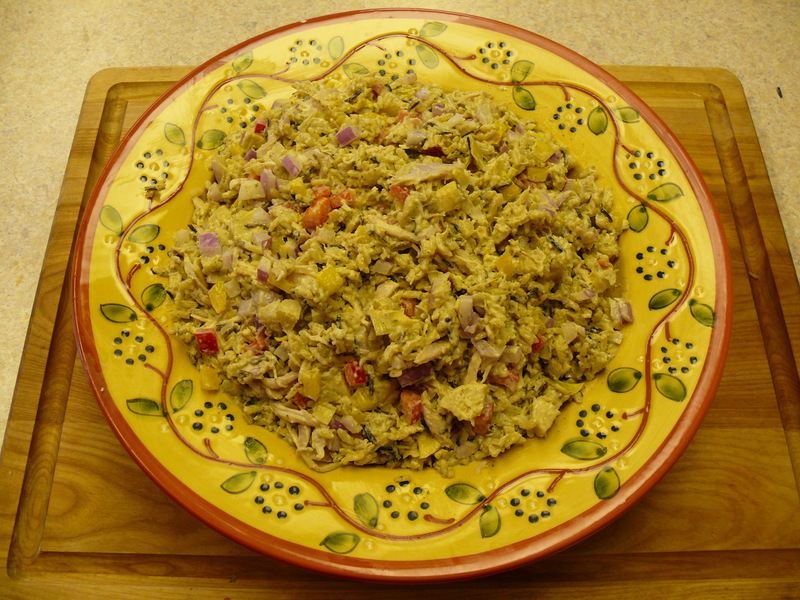 Here is the recipe that delights most but fails to measure up to the Blue Box*** in a kid’s best estimation. 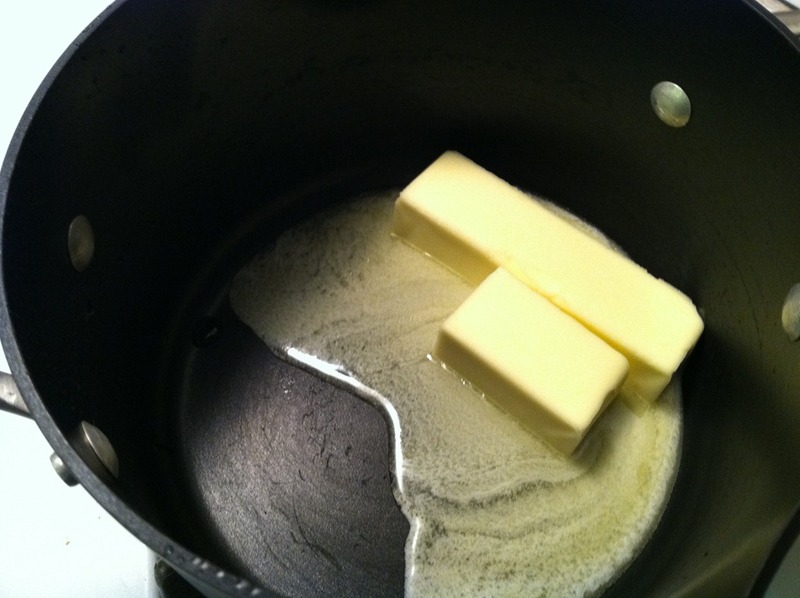 Step one: Melt the 12 T of butter over medium heat. 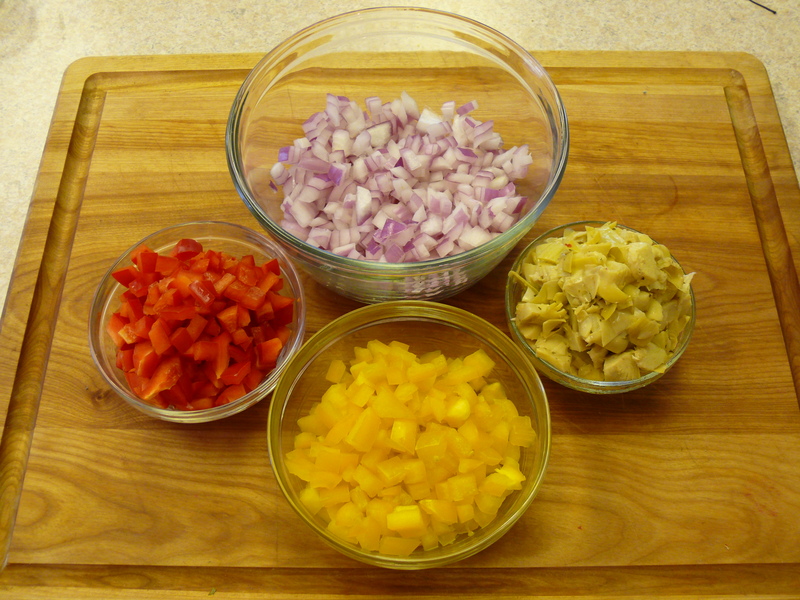 Step two: Add the onions, thyme, and peppercorns and simmer for 3 – 4 minutes. Stir constantly. Step three: Add the flour and cook for 2 or so minutes, stirring constantly. 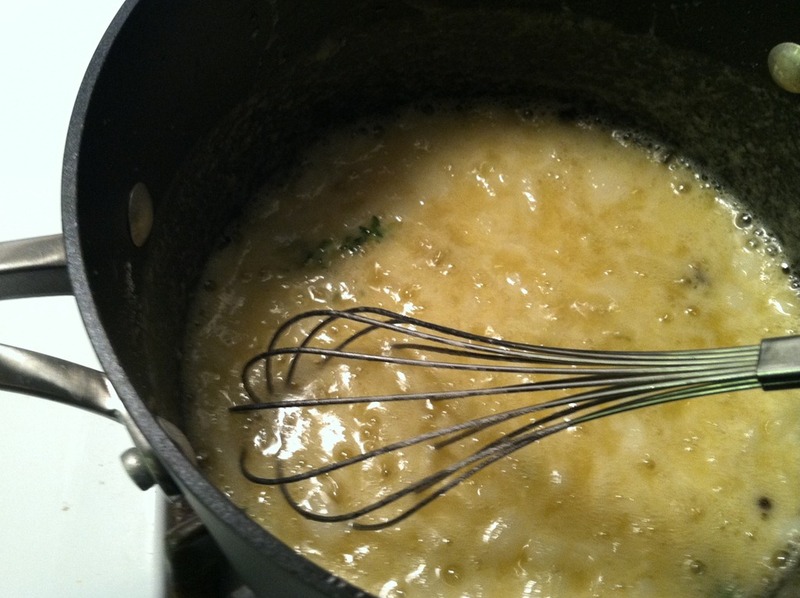 This is the roux and it will be very thick. Step four: Add the milk slowly, stirring while you add. When you bring the milk to room temp, you will save a bit of time. 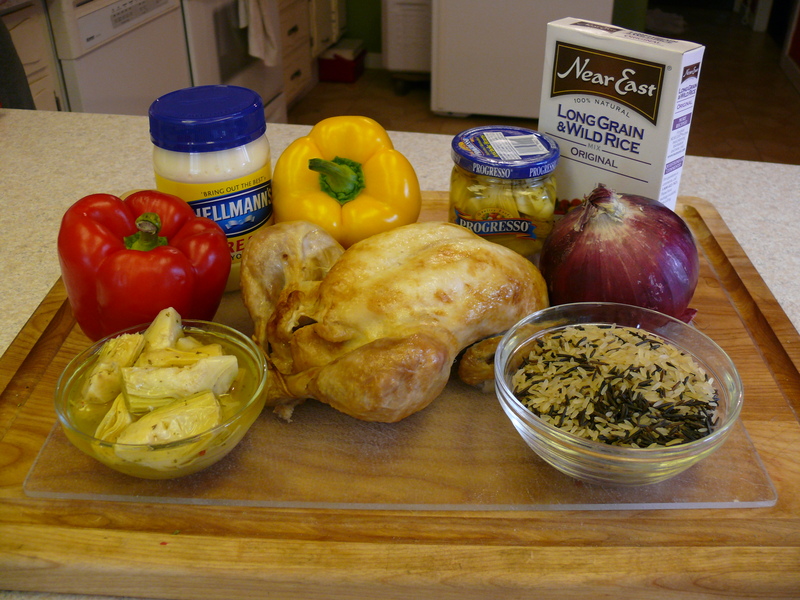 At this point, the sauce will look like this. Keep stirring and stirring, which will keep the milk from burning as you work to bring this to just boil. Start your salted water boiling for the macaroni. 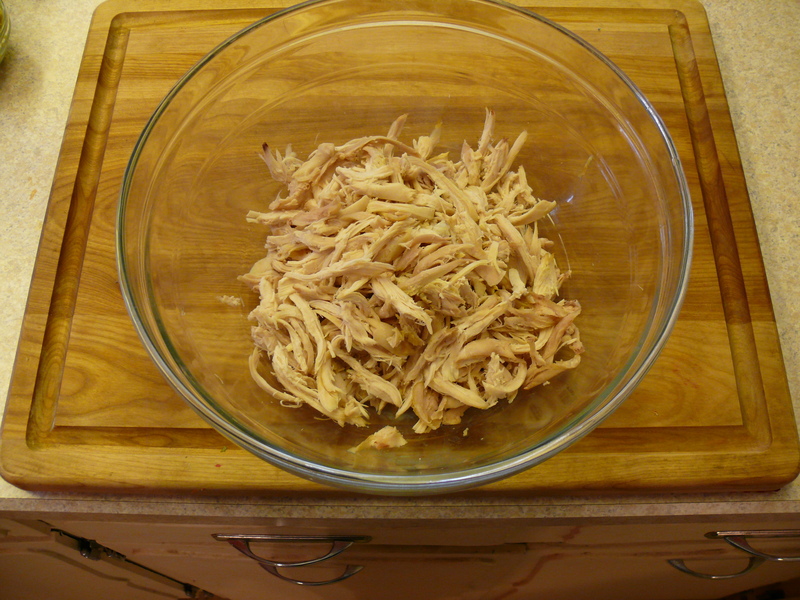 When it boils, you’ll want to cook it for 9 – 11 minutes. Taste it at the 9 minute mark. It should be a bit firm, or al dente. Drain and set aside for add at the end. 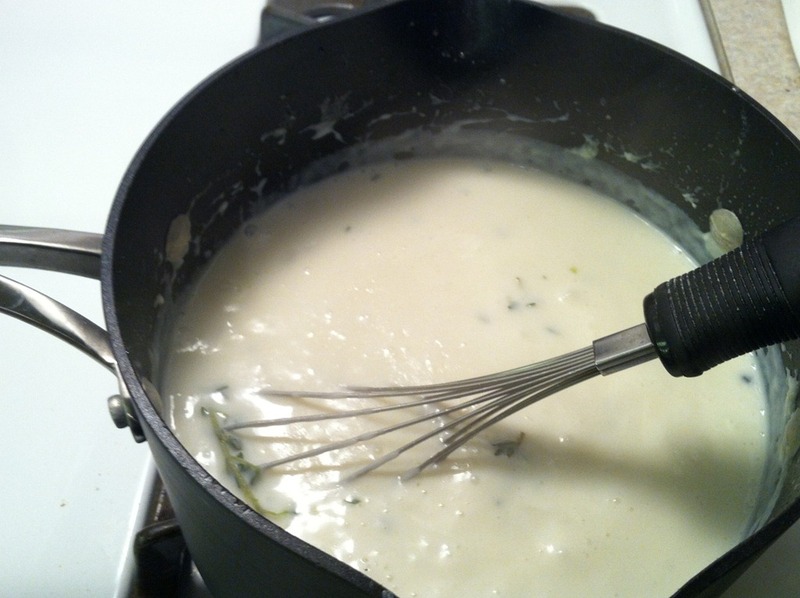 When the bechamel reaches the boil (over a medium heat), turn the heat down to medium-low and continue to stir constantly for another 10 minutes. 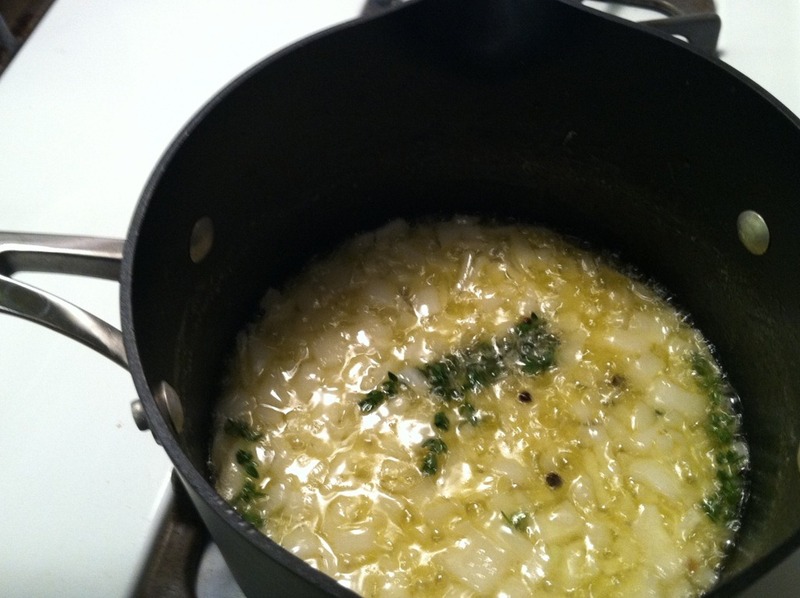 When the sauce looks like the photo above, strain it to remove the onion, thyme, and peppercorns. 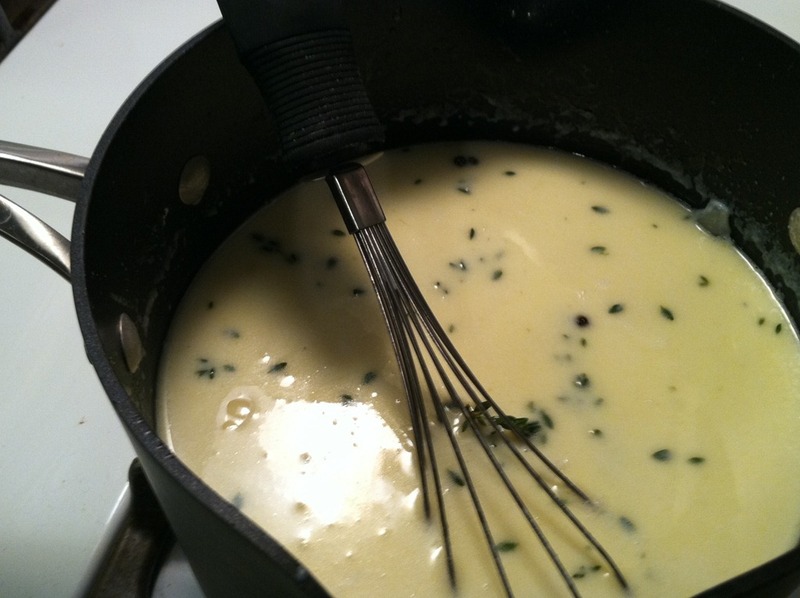 At this point, add all six cups of your shredded sharp cheddar to the bechamel and mix until it’s creamy. Add salt and pepper to taste. Grate a bit of nutmeg, too, and continue to mix. 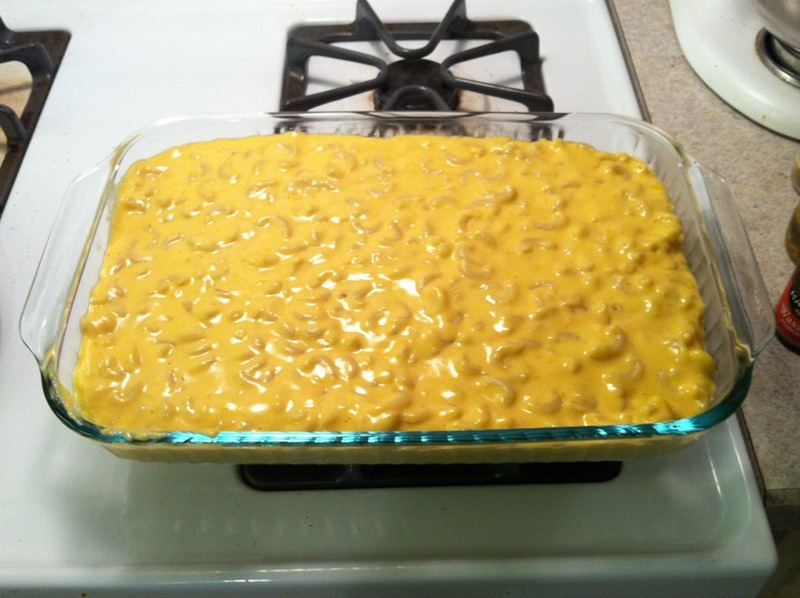 Add your cooked macaroni and pour into a baking dish. Bake at 350 degrees for 30 minutes, or until bubbly and divine. Remember, if your 6-year-old doesn’t like it, there’s more for you. I promise, if you’re 7 or older, you’ll love to Eat It, St. Louis! * Ah, the box. This was an important lesson for me. Sometimes, when it comes to a kid, less is more. They are learning lots of new things every day. At the end of the day, they need something familiar and easy; gourmet mac & cheese really doesn’t fit that need. **The best news is that our struggles as a blended family are few and far between; and if this is the worst of it then I’ve got a lot for which to be thankful. ***In all truthfulness the Blue Box rocks. I don’t know what it is about the powdered cheese and the glowing orange sauce it renders, but it’s good. ****Be sure to allot yourself plenty of time. You will be standing over the stove for about an hour. Also, if you make it early and let it sit for a bit, the flavors will really come together. This stuff is really delicious.